$10 per person fees. To enter the museums or landmarks fee not included... for more information please email me I'll be more than happy to show you the capital. If you could post my ad in your country. I will pay you a commission if I get a client from that region. 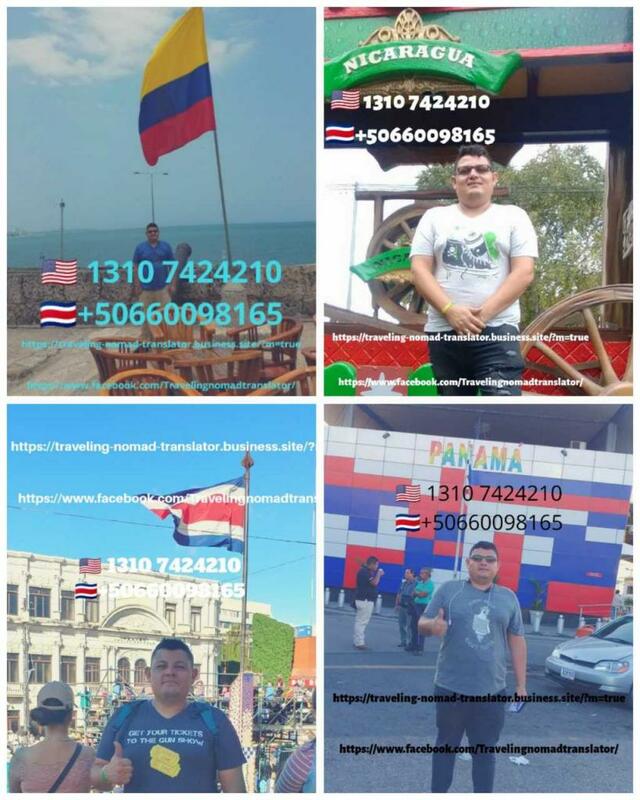 A little bit about me I provide my services globally as a personal translator, personal guide, ...View MoreIf you could post my ad in your country. I will pay you a commission if I get a client from that region. A little bit about me I provide my services globally as a personal translator, personal guide, personal assistant. I can send you my ad with the picture and the Craigslist link, So you can post it. It takes about 2 minutes to do it. The reason I need your help is because I can't post in your country that's why I'm offering a Commission. step 1 Craigslist Craigslist link. https://www.craigslist.org/about/sites#US step 2 ad. Get the chance to explore different unique countries. Mexico, Central America, South America, globally. I am your guide. I am your bodyguard. I am your translator. I'm here to make your adventure fantasy a reality......... Obtenga la oportunidad de explorar diferentes países únicos. México, América Central, América del Sur, a nivel mundial. Yo soy tu guía. Soy tu guardaespaldas. Soy tu traductor. 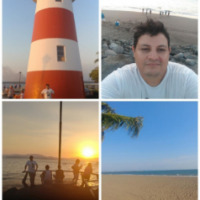 Estoy aquí para hacer realidad tu aventura de fantasía ......... Tenha a chance de explorar diferentes países únicos. México, América Central, América do Sul, globalmente. Eu sou seu guia Eu sou seu guarda-costas. Eu sou seu tradutor. Estou aqui para tornar sua fantasia de aventura uma realidade ......... Obtenez la chance d'explorer différents pays uniques. Mexique, Amérique centrale, Amérique du Sud, globalement. Je suis ton guide. Je suis votre garde du corps. Je suis ton traducteur. Je suis ici pour faire de votre aventure une réalité ......... Ottieni la possibilità di esplorare diversi paesi unici. Messico, America Centrale, Sud America, a livello globale. Sono la tua guida Sono la tua guardia del corpo. Sono il tuo traduttore Sono qui per rendere la tua avventura fantasy una realtà ......... รับโอกาสสำรวจประเทศที่แตกต่าง เม็กซิโกอเมริกากลางอเมริกาใต้ทั่วโลก ฉันเป็นไกด์ของคุณ ฉันเป็นคนคุ้มกันของคุณ ฉันเป็นนักแปลของคุณ ฉันมาที่นี่เพื่อทำให้จินตนาการการผจญภัยของคุณเป็นจริง ......... step 3 upload photos. Rajnish kumar, Arpan Kumar Gupta and 1 other person likes this. If you could post my ad in your country. I will pay you a commission if I get a client from that region. 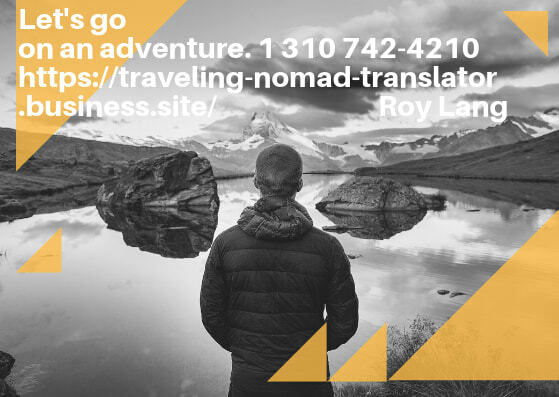 A little bit about me I provide my services globally as a personal translator, personal guide, ...View MoreIf you could post my ad in your country. I will pay you a commission if I get a client from that region. A little bit about me I provide my services globally as a personal translator, personal guide, personal assistant. I can send you my ad with the picture and the Craigslist link, So you can post it. It takes about 2 minutes to do it. The reason I need your help is because I can't post in your country that's why I'm offering a Commission. step 1 Craigslist Craigslist link. https://www.craigslist.org/about/sites#US step 2 ad. Get the chance to explore different unique countries. Mexico, Central America, South America, globally. I am your guide. I am your bodyguard. I am your translator. I'm here to make your adventure fantasy a reality......... Obtenga la oportunidad de explorar diferentes países únicos. México, América Central, América del Sur, a nivel mundial. Yo soy tu guía. Soy tu guardaespaldas. Soy tu traductor. Estoy aquí para hacer realidad tu aventura de fantasía ......... Obtenga la oportunidad de explorar diferentes países únicos. México, América Central, América del Sur, a nivel mundial. Yo soy tu guía. Soy tu guardaespaldas. Soy tu traductor. Estoy aquí para hacer realidad tu aventura de fantasía ......... Obtenez la chance d'explorer différents pays uniques. Mexique, Amérique centrale, Amérique du Sud, globalement. Je suis ton guide. Je suis votre garde du corps. Je suis ton traducteur. Je suis ici pour faire de votre aventure une réalité ......... Ottieni la possibilità di esplorare diversi paesi unici. Messico, America Centrale, Sud America, a livello globale. Sono la tua guida Sono la tua guardia del corpo. Sono il tuo traduttore Sono qui per rendere la tua avventura fantasy una realtà ......... รับโอกาสสำรวจประเทศที่แตกต่าง เม็กซิโกอเมริกากลางอเมริกาใต้ทั่วโลก ฉันเป็นไกด์ของคุณ ฉันเป็นคนคุ้มกันของคุณ ฉันเป็นนักแปลของคุณ ฉันมาที่นี่เพื่อทำให้จินตนาการการผจญภัยของคุณเป็นจริง ......... step 3 upload photos. looking for a quick affordable place to stay in San Jose Costa Rica. if you are a traveler who's coming to Costa Rica and need an affordable place to stay. I offer you a place to stay $15the night. R...View Morelooking for a quick affordable place to stay in San Jose Costa Rica. 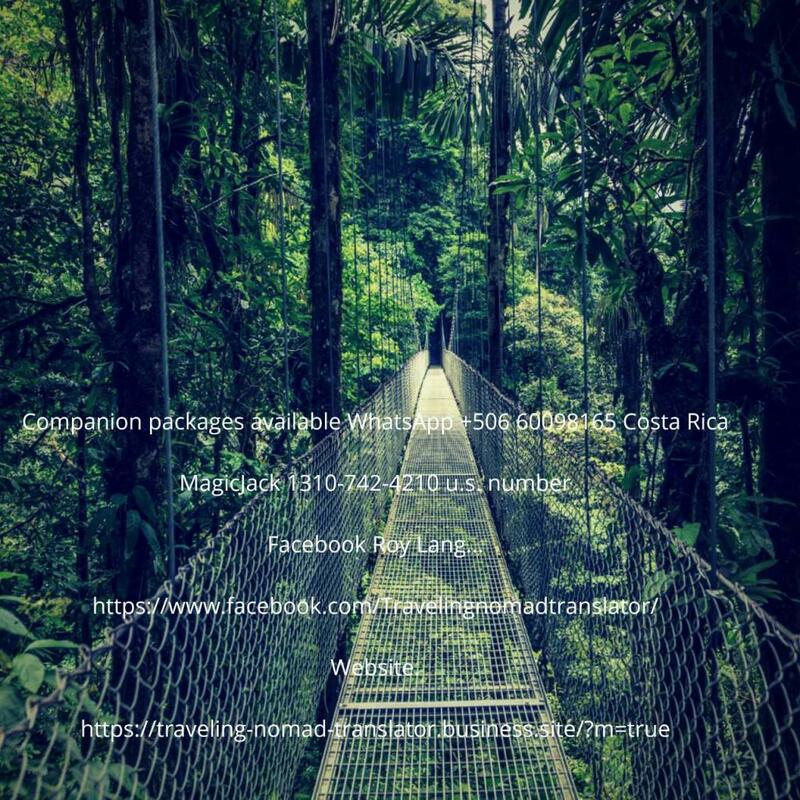 if you are a traveler who's coming to Costa Rica and need an affordable place to stay. I offer you a place to stay $15the night. Receive a great promotion of $10 right now the night. available sleeping inflatable beds, internet available cooking area available. 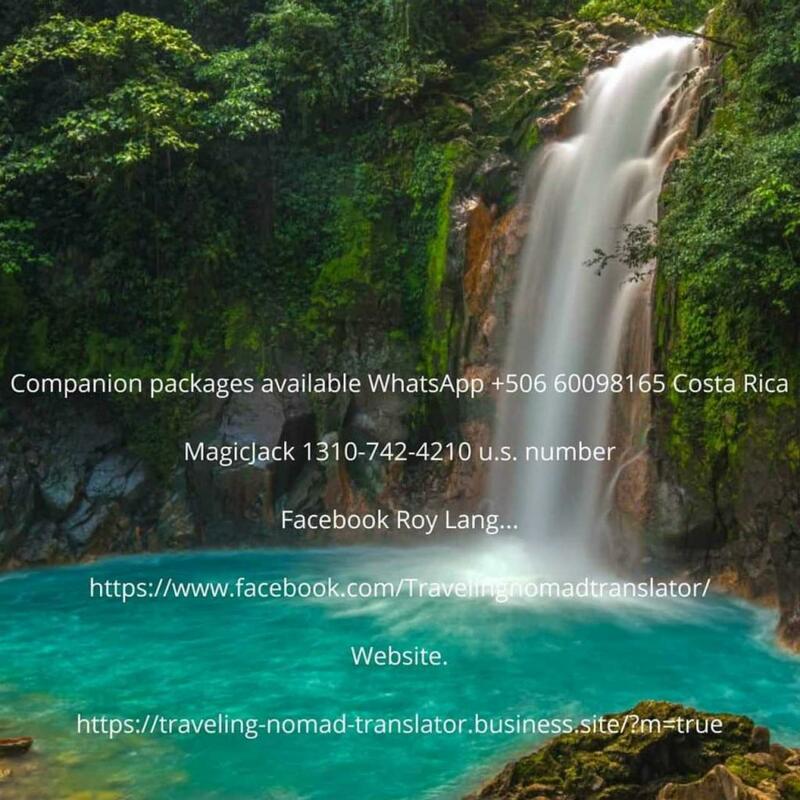 information available for places to visit Costa Rica. great places to meet new people. English spoken French, Italian, Portuguese, Spanish. contact me at +506 6009 8165 or 1310 7424210 🇺🇸 number. With Roy Lang. E mail roylang1980@gmail.com For reviews off prior people who have stayed please contact me. The sharing content isn't available now.